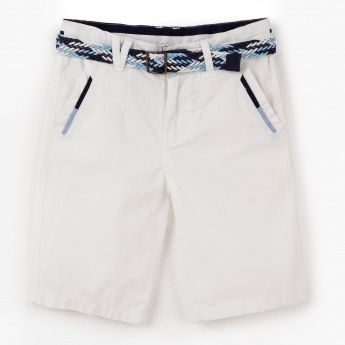 Lend a fashion savvy style for your little man with this pair of Bermuda shorts. It comes with a contrast belt around the waistline that adds brightness. Tailored with a neat fit, pockets at the front and back, it is high on style.